For many of us long time wine country residents, our dream was to one day produce and bottle wine under our own label. Having worked in the trenches of the wine industry for many years, we are proud to have finally made our first step toward achieving our dreams. 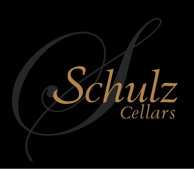 Schulz Cellars is a small family owned winery committed to producing high quality wines at reasonable prices that reflect the individual vineyard site wherever it may be. Enjoy Schulz Cellars wines at these fine restaurants and retailers. Below are a few locations, we can also be found in Arizona and Texas. 2014 Albarino, Dragone Vineyard - Lively flavors of ripe peach, honeydew melon, grapefruit and a hint of white pepper. 2012 Samuels Cuvee - Offering spicy aromas with black licorice, currant and plum that lead into a lush, velvety, full bodied wine that lingers on the finish.